This industry is a dynamic, intensive and booming work sphere with great scope for the use of creativity, imagination and global orientation which belongs to hospitality department. The travel and tourism industry is one of the most profitable industries in the country and also contributes substantially to foreign exchange earned. As per the statistics during 2008 four million tourists visited India and spent US $8.9 billion, making India one of the major global tourist destinations. Due to the improvement level of Travel and Tourism in India this has created jobs in a variety of related sectors, both directly and indirectly. Almost more than 20 million people are now working in India’s Travel and Tourism industry. The candidate is required to have passed the higher secondary examination (10+2) from any recognized board, conducted by Govt. of India, in any combination or any other recognized equivalent examination. 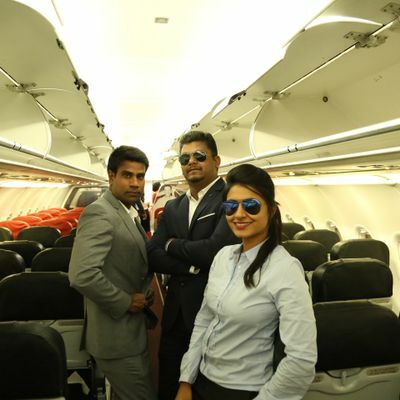 Remo International College of Aviation (RICA) is a multi-disciplinary institution offering professional courses for the students in the field of aviation sector. RICA was started by visionary, to revolutionize the way people are getting trained for Aviation industry. We provide a platform for students to display their latent talents and make them successful in the aviation industry with our motto as “Innovation in Education”.